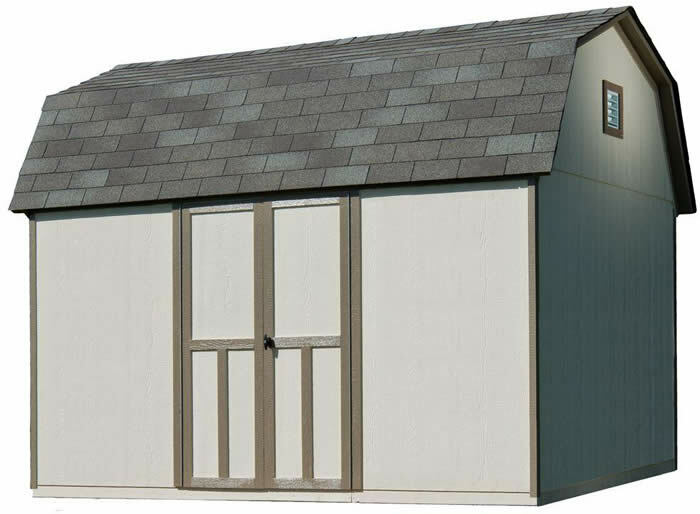 Introducing the 8x20 Skylight Shed! Palram has developed exclusive technology providing an entire roof that is a translucent skylight! 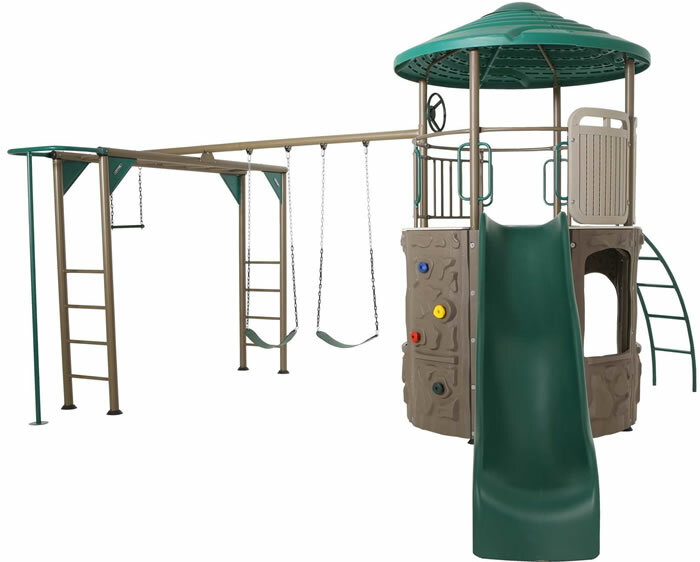 Includes 1 steering wheel, 2 chalkboards, sandbox area, 2 climbing walls, 2 swings, 1 trapeze, 1 slide, 1 arched climber, monkey bars and pole! 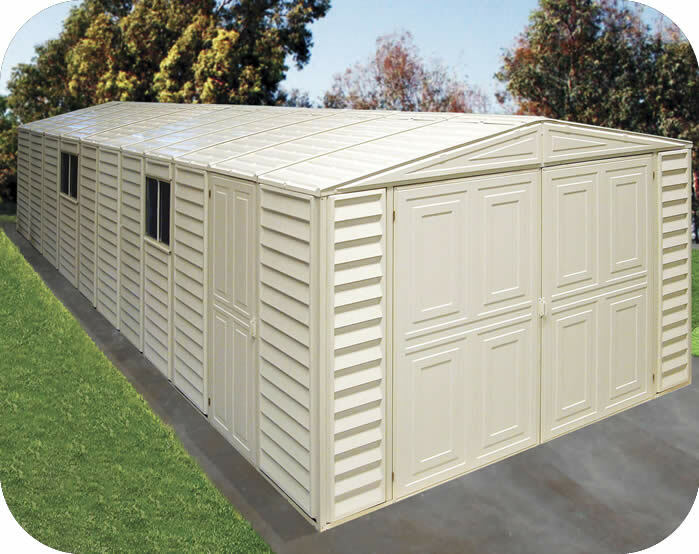 Our 8x20 Lifetime plastic storage shed kit is constructed of double-walled polyethylene with steel. Includes two windows and lots of shelving! 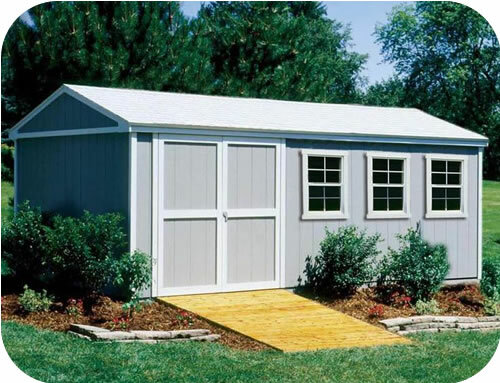 The Vinyl Garage 10x21 from DuraMax Sheds is an extra large vinyl shed kit with a foundation floor framing kit included! 2 Windows & 4 Skylights Included! 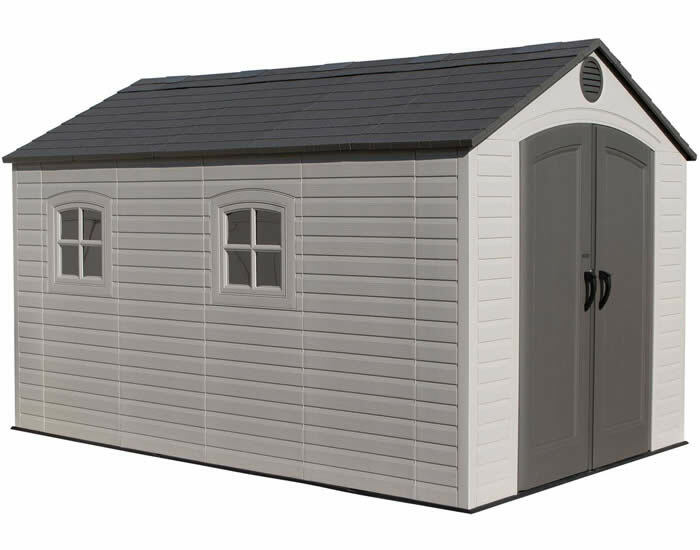 Our Premier Series Handy Home Products Somerset 10x16 wood storage shed features 2x4 construction, 6' walls, 8' peak & locking doors. 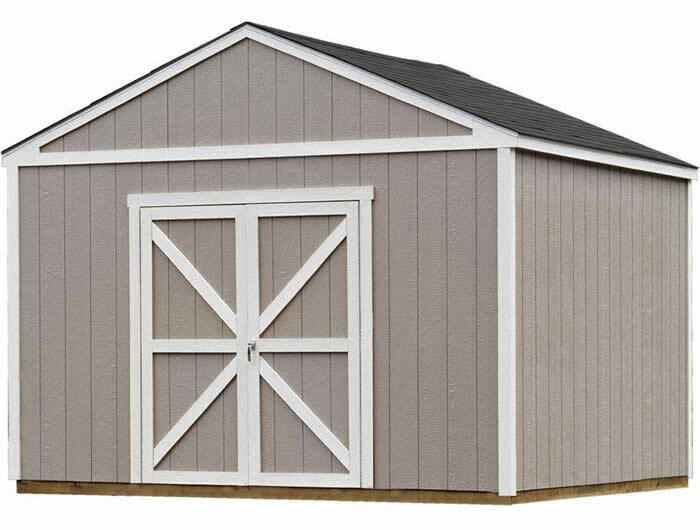 Our Handy Home Products 12x8 Briarwood wood shed is pre-cut and features 2x4 construction, 6' 4" tall walls, 10' 2" peak, locking doors & wood floor! 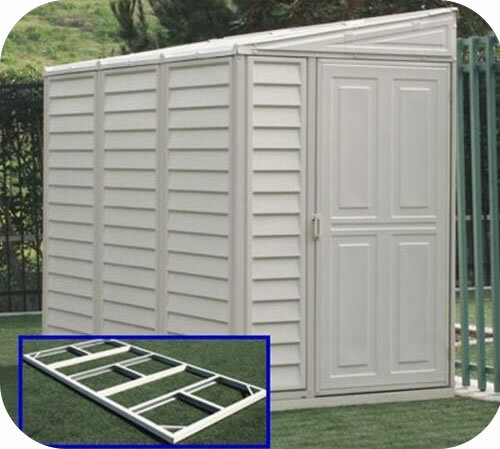 The Columbia 12x12 wood storage shed kit is a great solution for tall people! 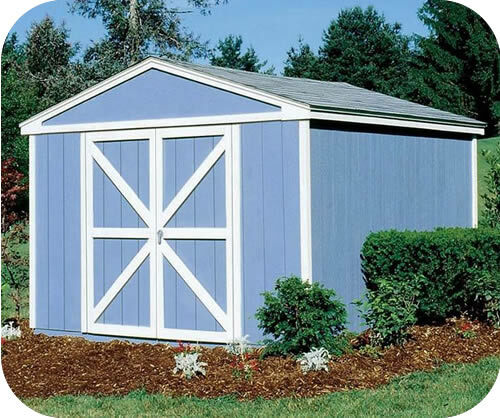 These wood sheds boast 7' tall walls and a 10' tall peak! 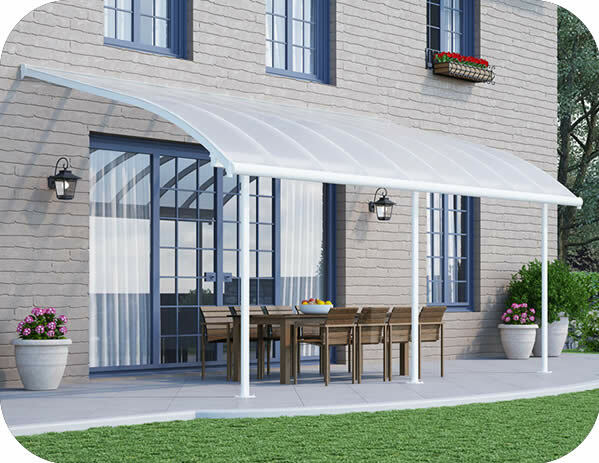 The Palram 10x18 Joya patio cover uses clear, UV protected, polycarbonate roof panels to protect your family and patio furniture from harsh UV rays. 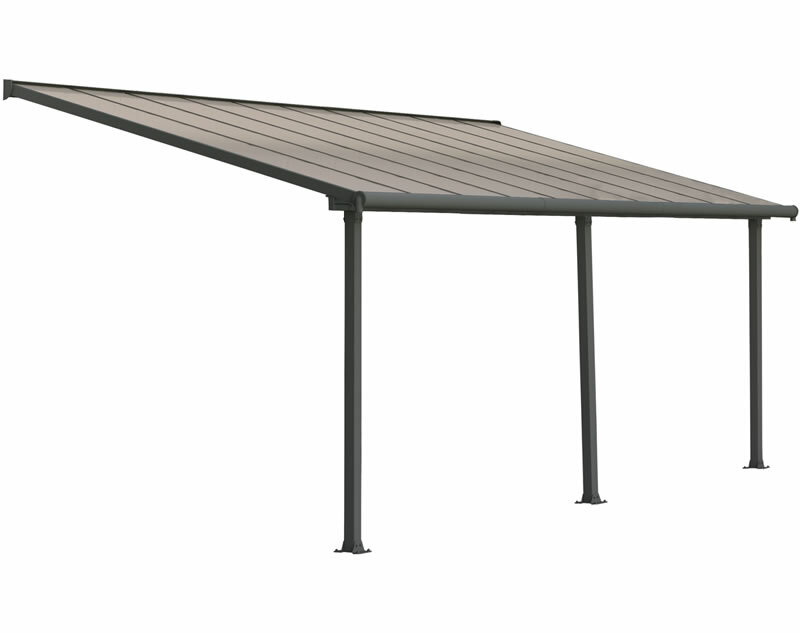 The Olympia 10x18 Patio Cover provides you with an ideal setting to entertain or relax at the end of the day in your outdoor living area. 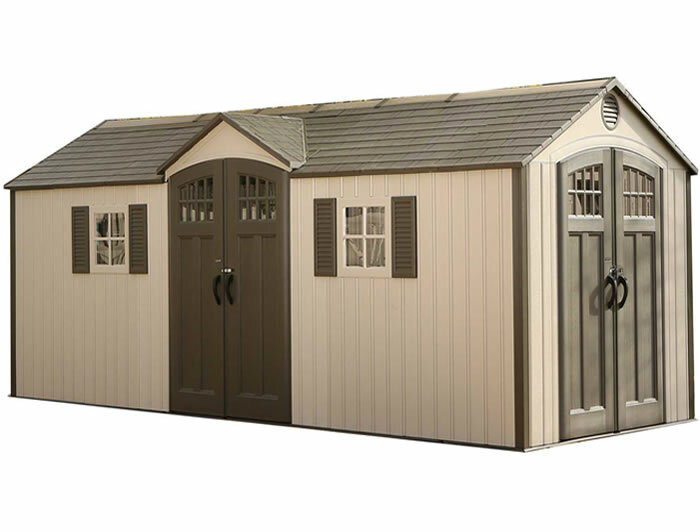 The Premier Series Handy Home Products Berkley 10x14 wood storage shed kit features 2x4 construction, 6' walls, 10' peak & wide doors. 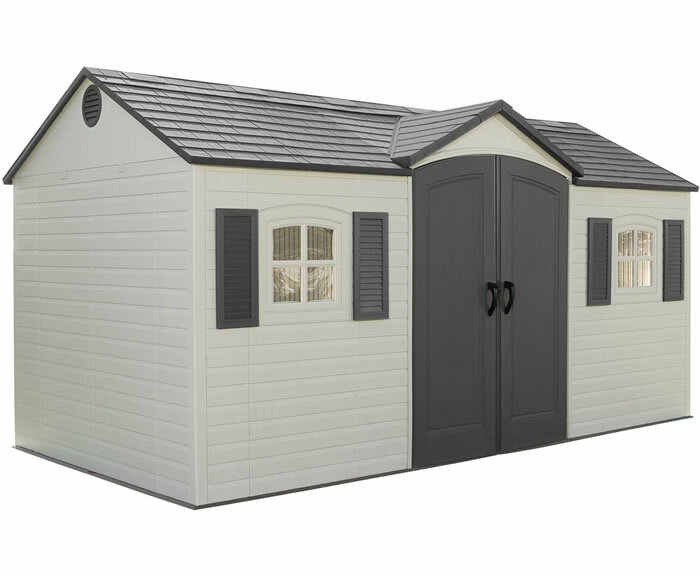 Our Premier Handy Home Products Somerset 10x12 wood storage shed w/ floor features 2x4 construction, 6' walls, 8' peak & locking doors. The Cumberland 10x16 Macro wood shed kit from Handy Home Products comes pre-cut and ready to assemble! Wood floor included! 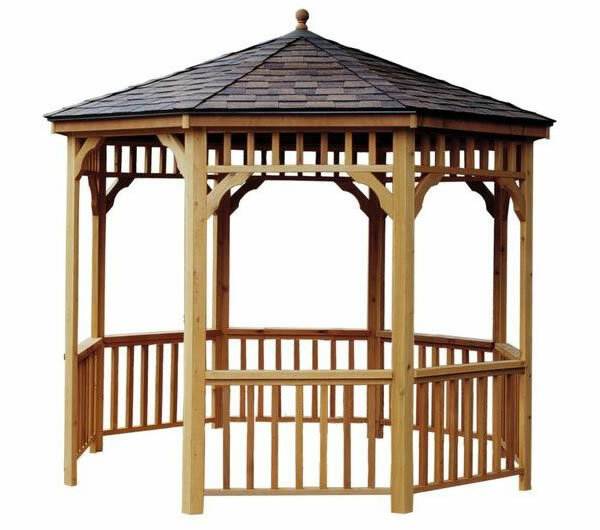 The Premier Series Handy Home Products Berkley 10x10 wood storage shed w/ floor features 2x4 construction, 6' walls, 10' peak & wide doors. 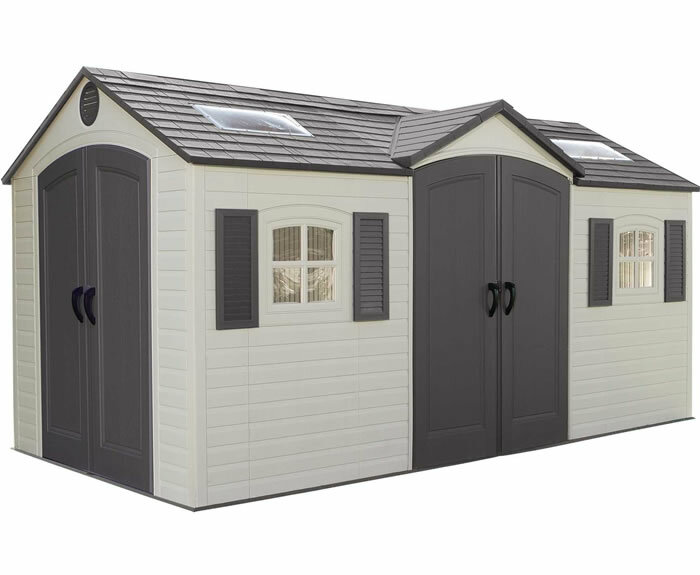 Our Premier Series Handy Home Products Somerset 10x18 wood storage shed features 2x4 construction, 6' walls, 8' peak & locking doors. 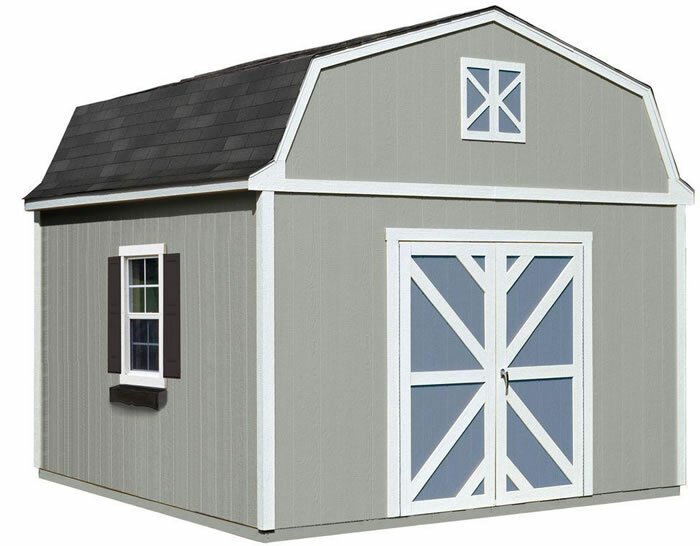 The Vinyl Garage 10x23 from DuraMax Sheds is an extra large vinyl shed kit with a foundation floor framing kit included! 2 Windows & 5 Skylights Included! 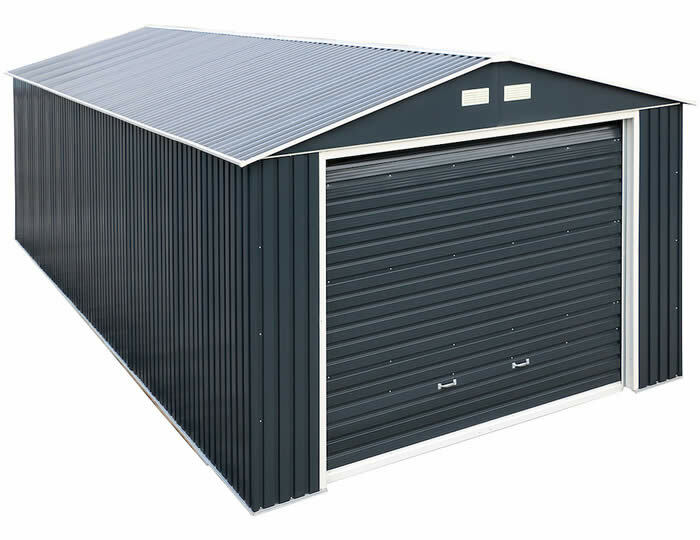 Our Lifetime 20x8 new style shed kit is constructed of double walled polyethylene with steel. 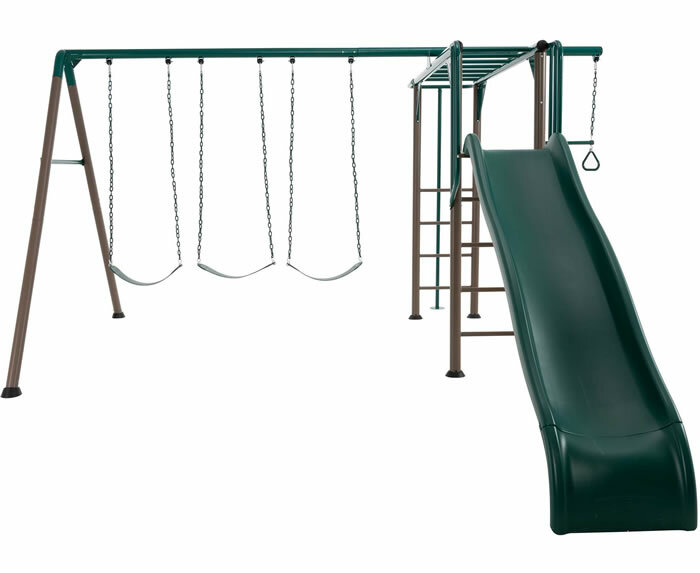 Includes windows, vents, shelving, skylights and floor! 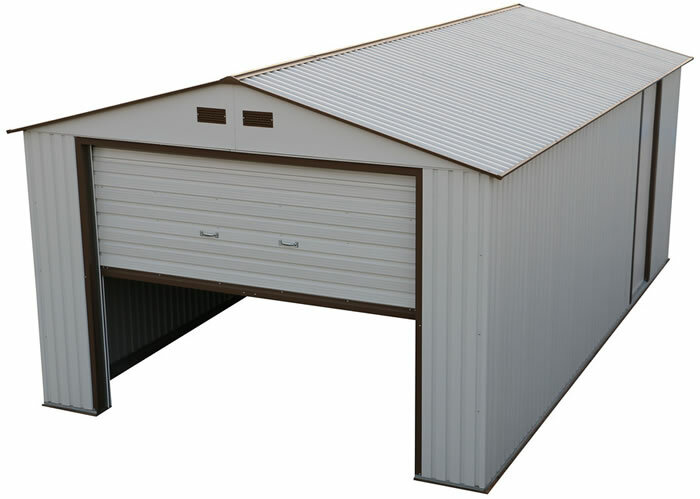 The DuraMax 12x20 Large Metal Building boasts 1896 cubic feet of space with a roll up garage door that is wide enough for common SUVs. 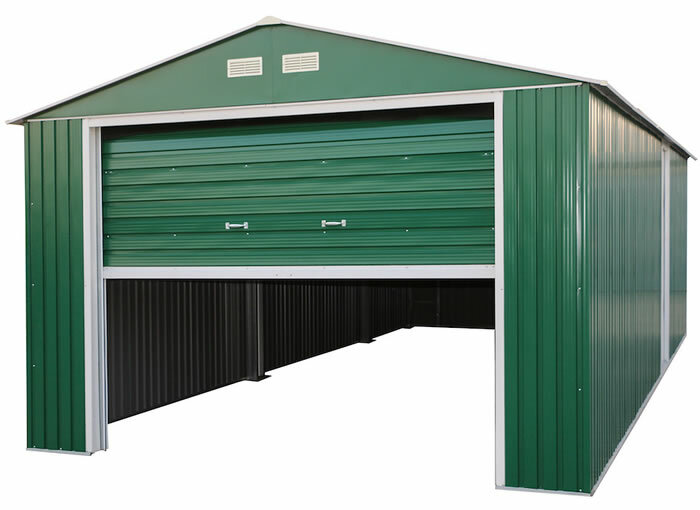 The DuraMax 12x20 white garage kit boasts 1896 cubic feet of space with roll up garage door and sliding side door. Four gable vents included! 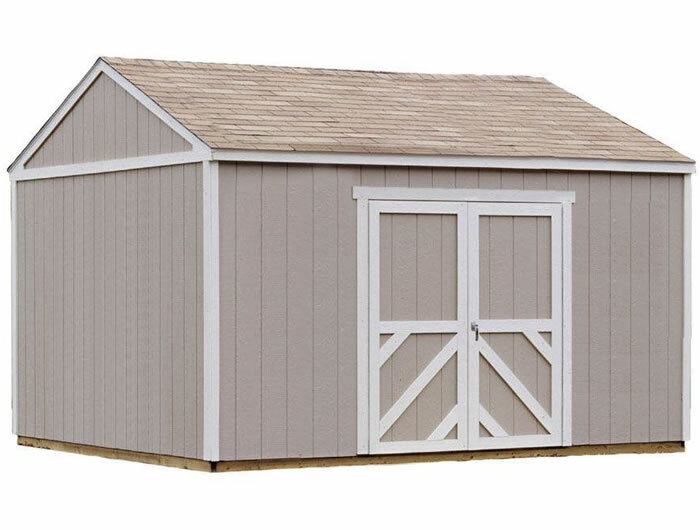 The Premier Series Handy Home Products Berkley 10x16 wood storage shed kit features 2x4 construction, 6' walls, 10' peak & wide doors. 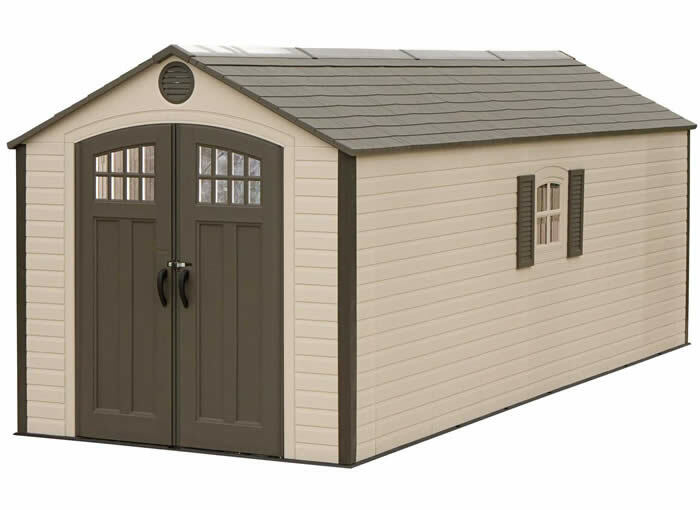 Our Premier Handy Home Products Somerset 10x14 wood storage shed w/ floor features 2x4 construction, 6' walls, 8' peak & locking doors. 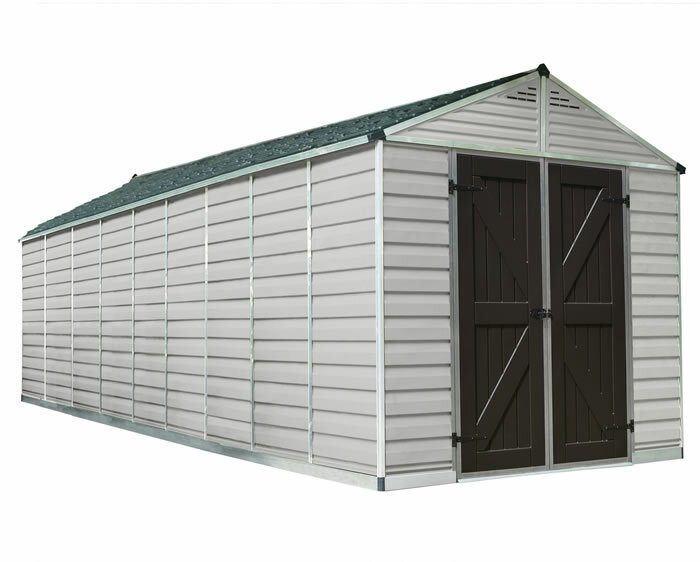 Our premier series, Sequoia 12x12 wood shed from Handy Home Products comes with, primed siding, 7 foot tall walls and extra wide doors! 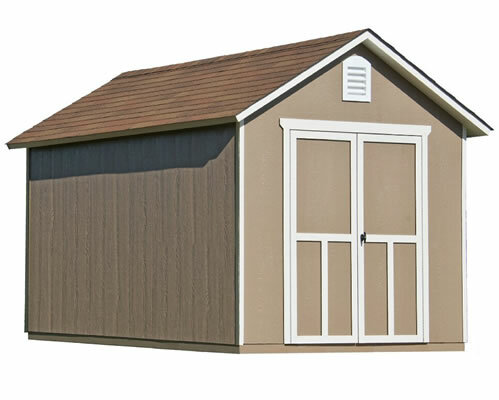 The Columbia 12x16 wood storage shed kit is a great solution for tall people! 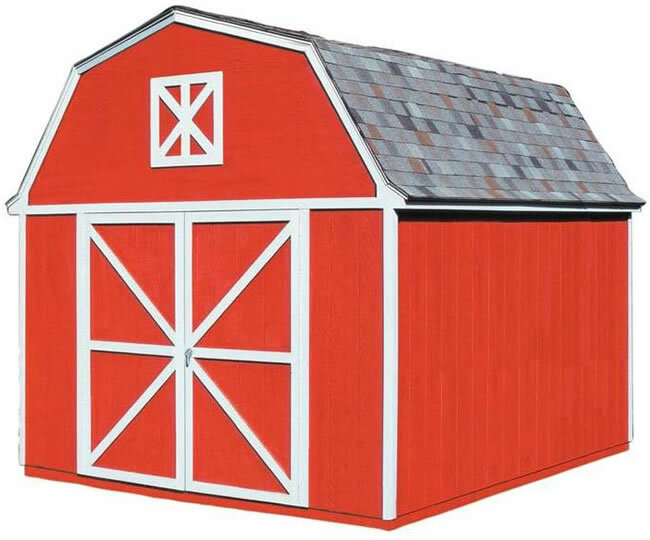 These wood sheds boast 7' tall walls and a 10' tall peak! 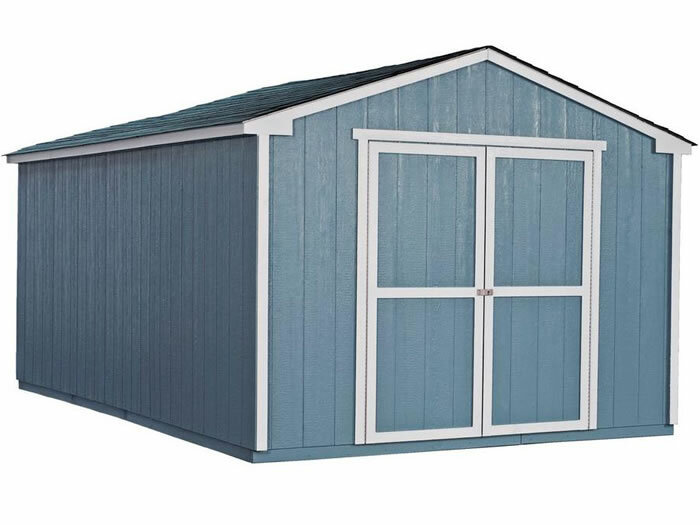 The Premier Handy Home Products Berkley 10x12 wood storage shed kit w/ floor features 2x4 construction, 6' walls, 10' peak & wide doors. 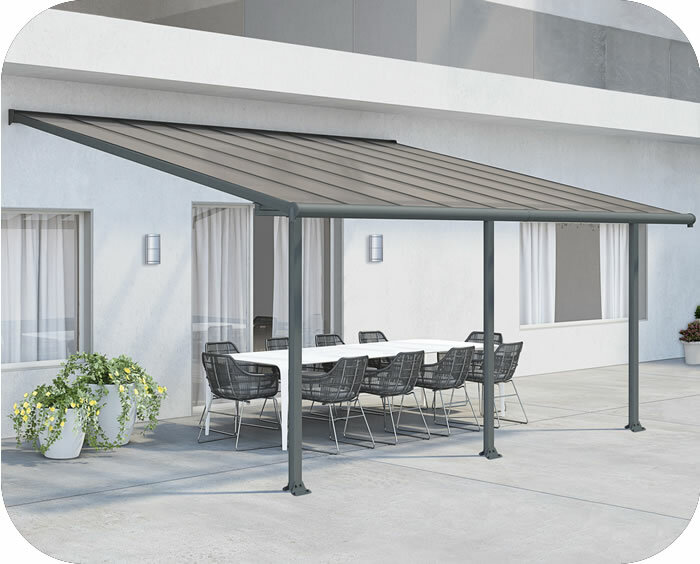 The Olympia 10x20 Patio Cover provides you with an ideal setting to entertain or relax at the end of the day in your outdoor living area. 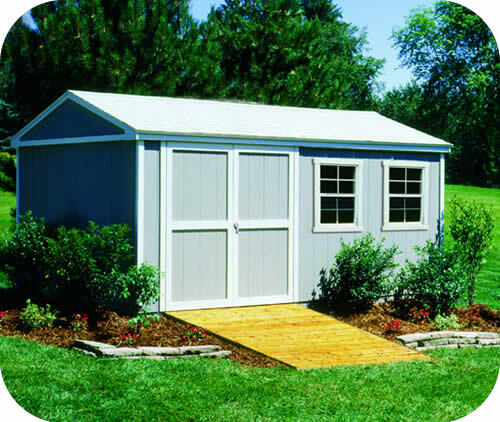 The Columbia 12x12 wood storage shed kit w/ floor is a great solution for tall people! 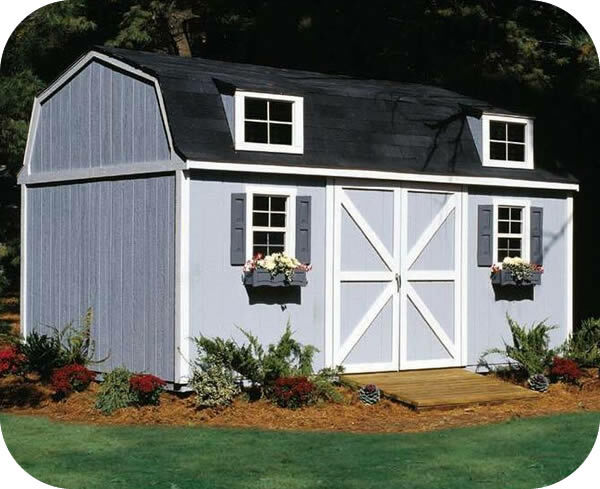 These wood sheds boast 7' tall walls and a 10' tall peak!